The populations of cities like Tokyo are ever increasing due to urbanisation and internal migration. The bright lights of the city call, and the working population, especially the young, answers. Even on a day-to-day basis, the number of people present in the city ebbs and flows as commuters make their way to and from their workplaces. 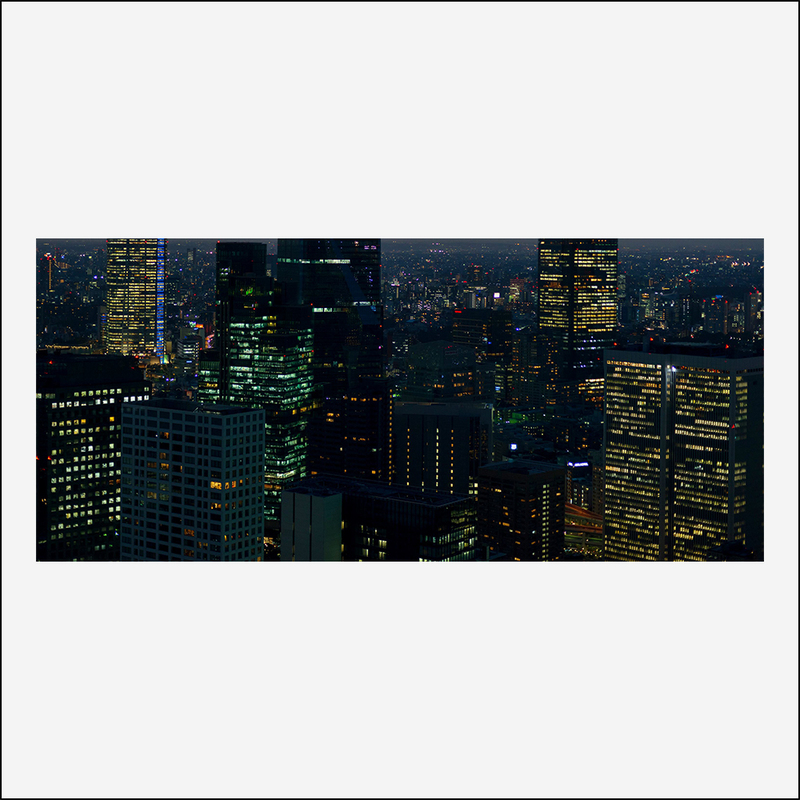 The Bright Lights typifies an idealised image of the city—tall buildings, bright lights and an implied cosmopolitan lifestyle. But the lifestyle of a city-dweller reflects both the best and the worst of our technological advancement. As we reap the benefits of convenience, we find ourselves bound within the workings of the urban machine. The central piece for this exhibition is a light box designed specifically for Launch Pad Gallery. The dimensions mirror the actual window of the gallery that looks out on to a busy intersection of an otherwise quiet, local neighbourhood in Yokohama. The contrasting views reflect the dual life of the city-dweller as both urbanite and local. Smaller works in this exhibition are selected from a series titled The Urban Machine. 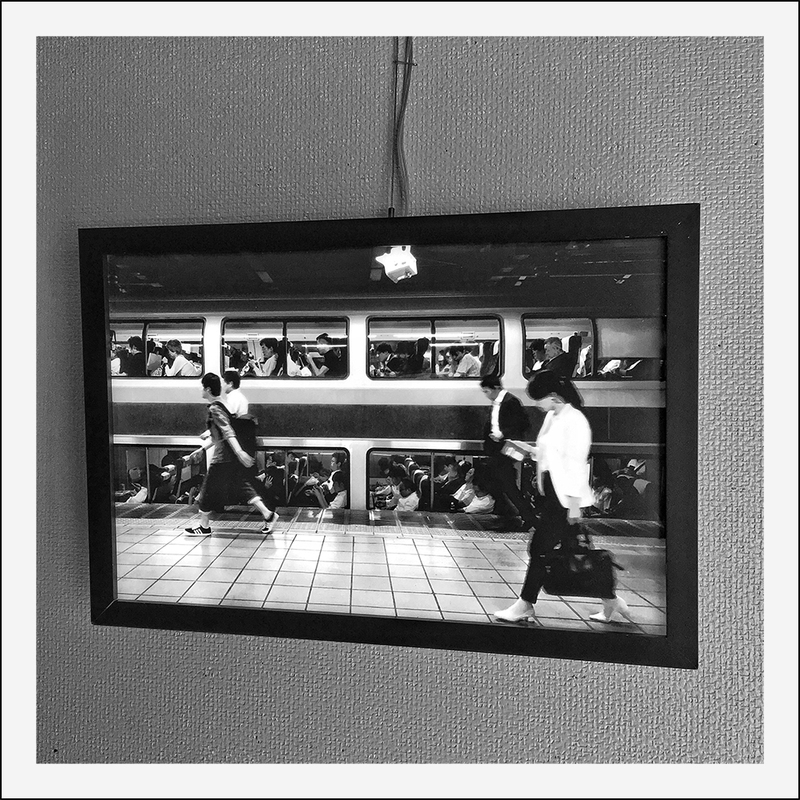 Part of a larger on-going series of black and white photographs taken between 2012 and 2017, all of these images are from regular daily travel, and other journeys, capturing both the mundane and the remarkable moments experienced while in transit and exploring the city. The combination of both series combined with the view from the gallery window itself present a multifaceted relationship with urban space, reflective of the multiplicity of urban living. Suzanne Mooney is an Irish artist based in Japan. 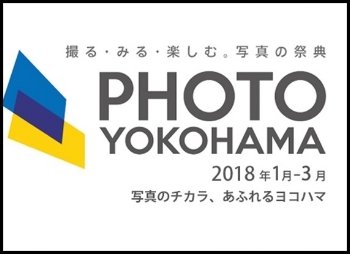 She graduated with a Ph.D. from Tama Art University in 2014, and received an award from Aesthetica Magazine(UK) in 2015, selected from 3,500 applicants. She has been awarded residencies in Iceland, Korea, Ireland and Spain. Her arts practice examines how representations of landscape in visual arts can reflect the lived-space of our contemporary culture, exploring issues of globalization, urbanization and the effects of technological developments on our societies. 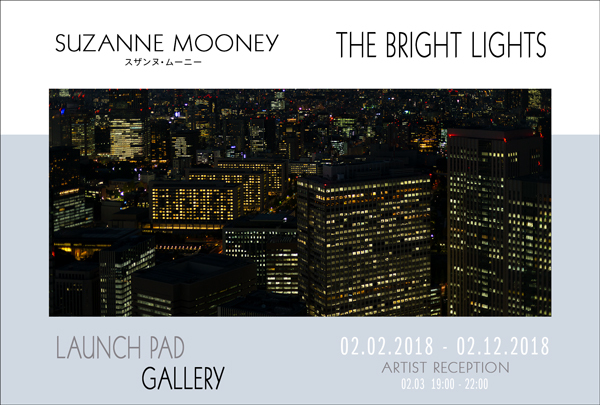 Mooney is a long-term artist-in-residence in Koganecho, Yokohama, and was an exhibiting artist for Koganecho Bazaar 2017.She will travel to the UK in this month for a solo exhibition at Bloc Projects and other activities at the invitation of Japan Now North, in connection with Japan Now conference at the British Library.